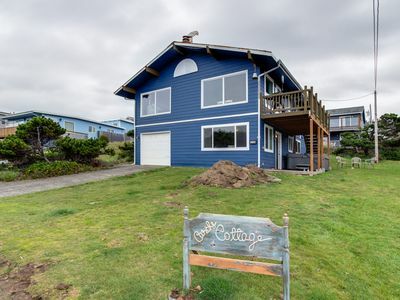 The charming blue shutters on this classic Oregon beach cottage hint at the sparkling ocean views you’ll enjoy during your relaxing stay at Salal Bluff. 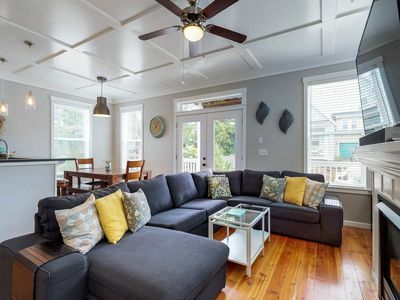 A weathered gray exterior gives way to an immaculate, welcoming living space, graced with breathtaking Pacific Ocean views, original natural wood finishes, and tasteful décor throughout. Designed with nostalgia in mind, you will find nothing but high-end mid-century furnishings and décor at Salal Bluff. 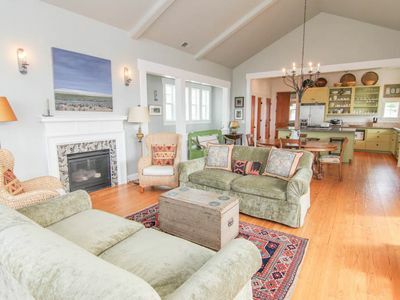 From honey colored soft leather seating around a vintage stone hearth in the living room, to a large hand-blown glass chandelier which hangs above a solid American walnut dining table, you will be transported to simpler times. Oregon made Pendleton pillows and blankets can be found in every room of Salal Bluff, for a truly one of a kind experience. Touched with many tasteful modern amenities such as wireless internet, expanded cable, a large LED smart TV, Blu-Ray/DVD, DVR, and a hi-resolution sound system, guests have plenty of options when it comes to entertainment. 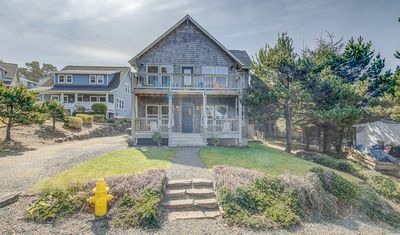 Salal Bluff also embraces its rustic nature as a classic Oregon beachfront cottage, with its warm wood-clad walls, box beam ceilings, and solid wood plank doors. 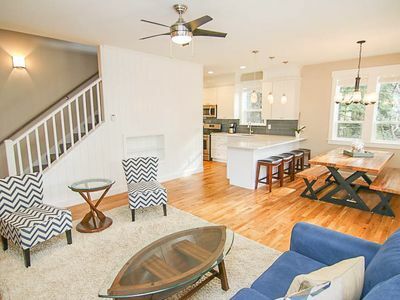 Cooks will enjoy a well-equipped kitchen with updated appliances, and vintage knotty plank cabinetry. Colossal windows to the North and West, allow spectacular living and dining room views of the surf, Roads End Point, and Rock Island. 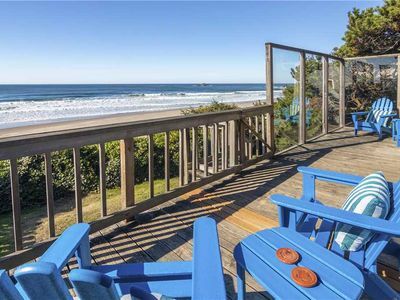 Relax with complimentary binoculars in hand, in one of the Adirondack chairs found on the ocean view deck, soothed by the calming sounds of the ocean, and the beauty of each sunset, or enjoy some quiet time in the private fenced courtyard garden, with its intimate seating and gas barbecue. 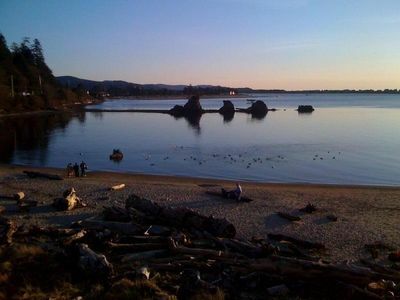 With easy nearby beach access, beach combing, kite flying, and tide pools are all just steps away. 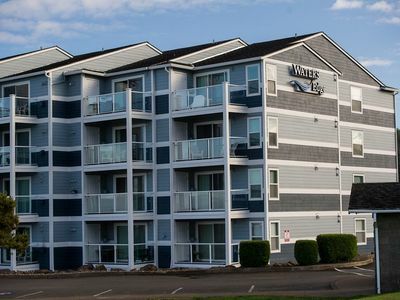 For the more adventurous at heart, explore the many nearby trailheads, or head out to experience all that the central Oregon Coast has to offer, with nearby shopping, dining and Chinook Winds Casino all just minutes away. 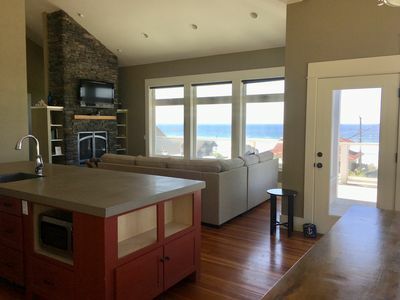 Perched atop a salal covered bluff, an oceanfront stay in this rustic yet elegant mid-century cottage, is guaranteed to refresh your spirit, you’ll be planning your next stay at Salal Bluff the minute you arrive! 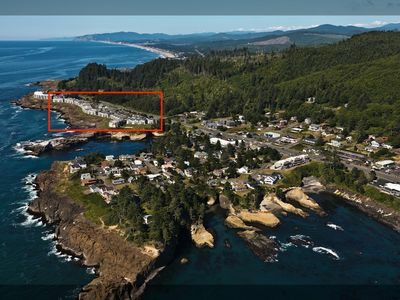 Spectacular 180' View, Beach Front Condo Great Kids Beach! Couples cottage with king bdrm. 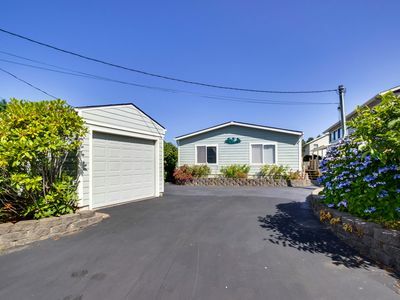 Close to beach & casino. 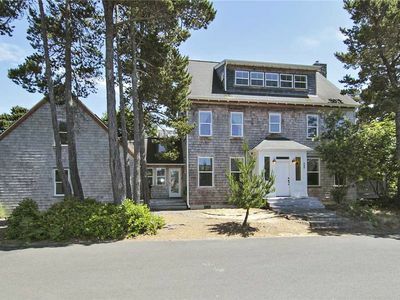 Great Road's End ocean views, a private hot tub, and more! 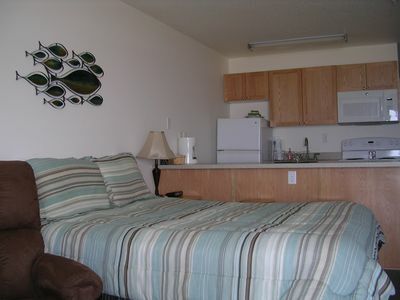 Upper-level studio close to beach access - dogs welcome! 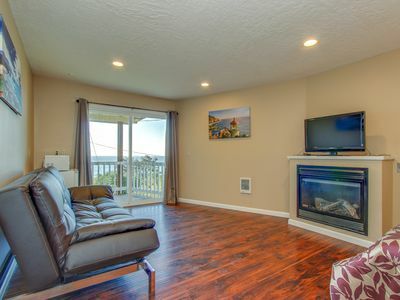 Cozy Lincoln City studio with pool access located near the beach & The Mist! 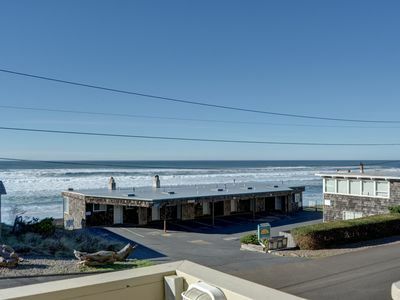 Top floor bay front condo w/ easy access to the surf in Lincoln City, OR! 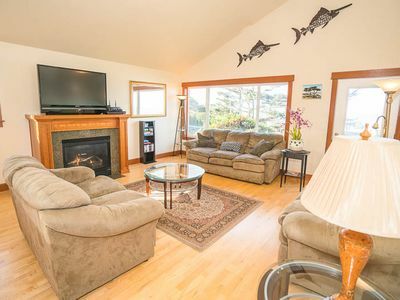 Panoramic Pacific Ocean views for both summer sunsets & winter storm watching! 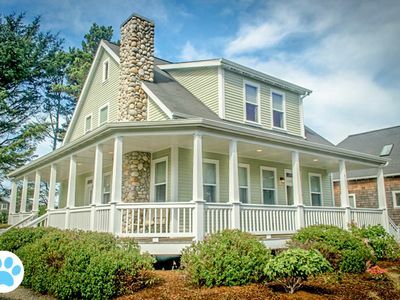 Dog-friendly house w/private hot tub and amazing oceanfront views! 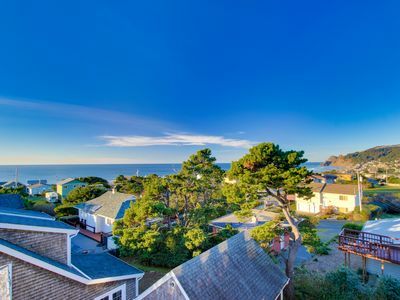 Panoramic Views from Two Upper-Floor Decks in Central Lincoln City! 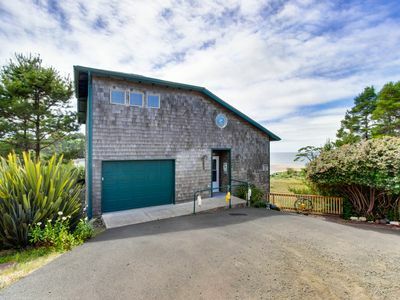 Hot Tub, Privacy, Luxury and the Sounds of Surf in Central Lincoln City! 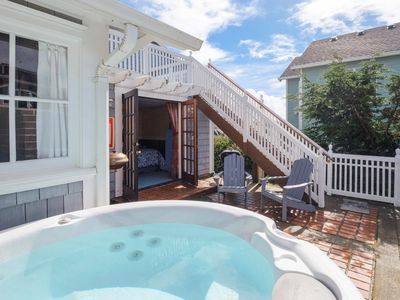 Private Beach Access, Indoor Hot Tub in this Oceanfront Retreat for 20! 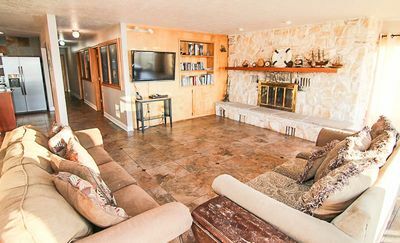 Ocean view home steps from the beach w/ private hot tub & game room - dogs OK!